2. 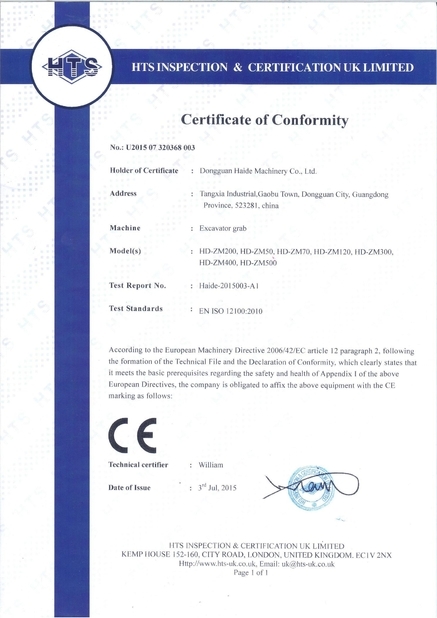 Driven by hydraulic pressure, high efficiency and convenient. 4. 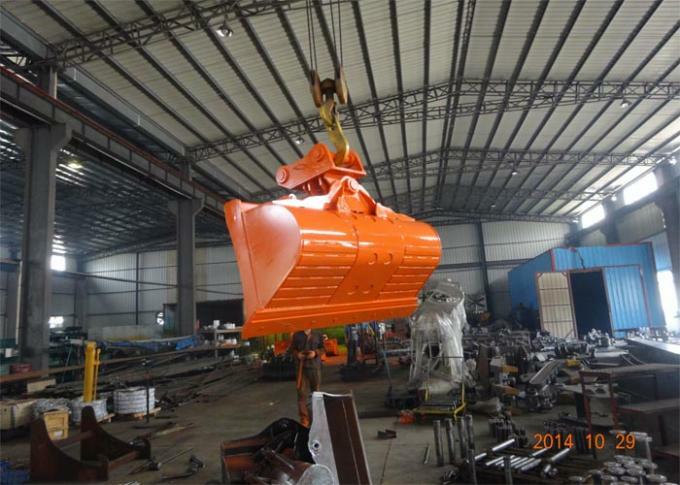 As customer request, we make this tilt bucket with a bolt cutting edge. 5. 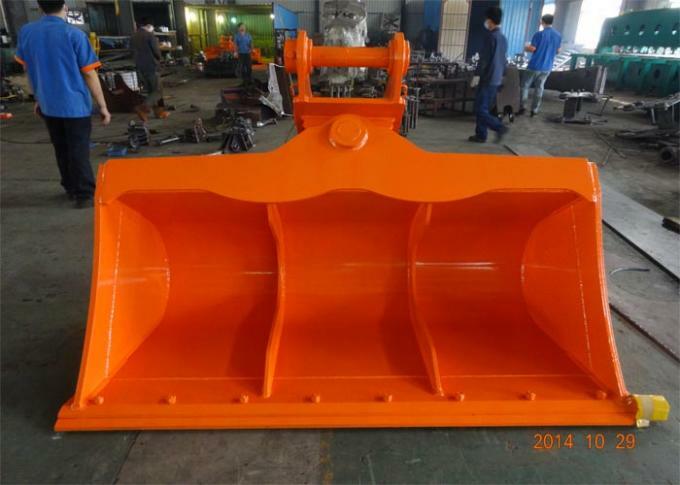 The width is optional, we make this tilt bucket with 2000mm width. But if you want to make more wider or more shorter, also no problem. 6. 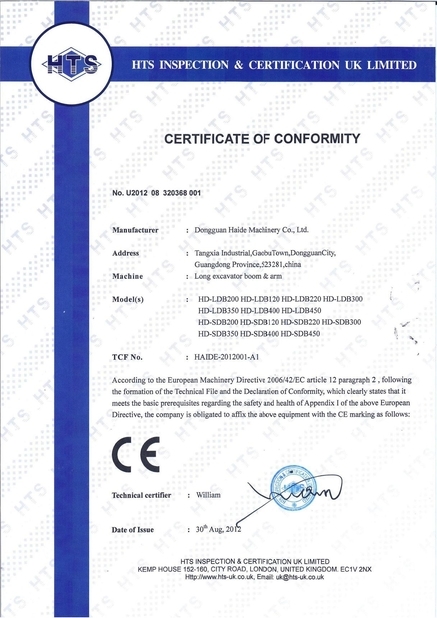 Standard tilt degree is +/-26 degree, if you need higher degree, we can customize for you. Max. can up to +/-45 degree. 8. 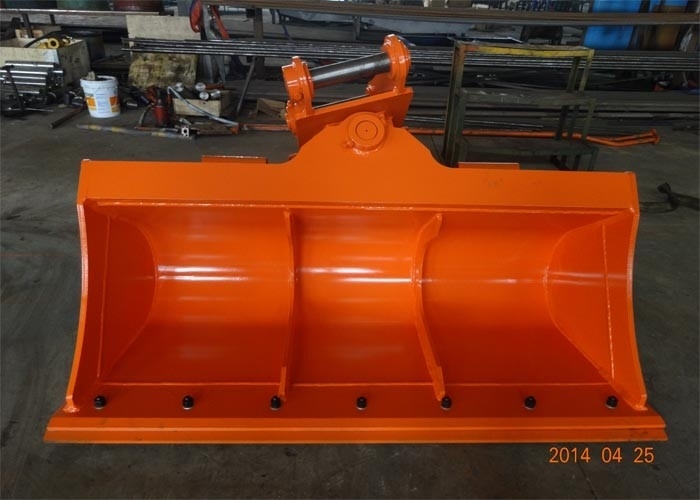 Hardox450 is high hardness steel, If you need NM360 or Hardox450 as the cutting edge of out tilt bucket, also no problem, let me know freely. 9.The cylinder Max. suffer from stress is 32MPa. 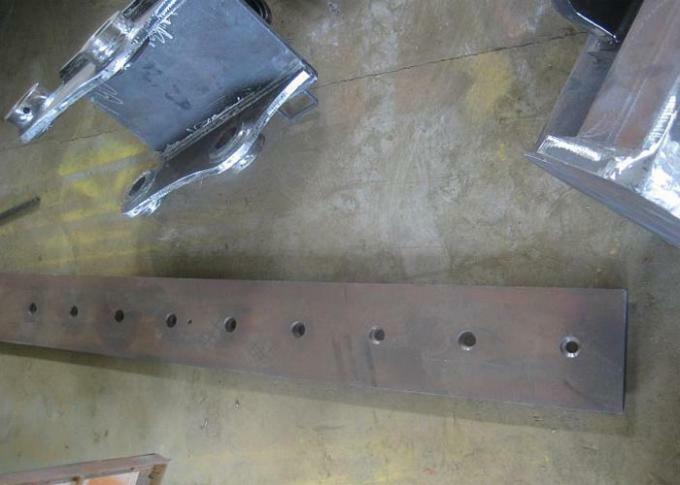 We have cylinder protection guard for cylinder. 10. All our pins is harden pins,and we prepare bushing for all pins, and each pin&bushing have grease seals. 11. For main pin(connect pick-up-head to mainbody),we double sealed for greace at both side.